Diablo III Installer Is Live... GO GO! 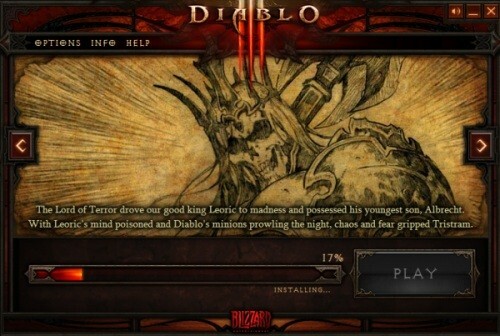 Diablo III Installer Is Live… GO GO! Tomorrow or to be exact, tonight at 3AM, Blizzard will finally accomplish something that every MMO since the World of Warcraft was released and that’s the ability to pull an extremely large amount of players away from the game. May Blizzard have mercy on your souls cause we all know Diablo won’t! Muahahaaa!!! !